In: LASPOTECH 25th Convocation & 40th Anniversary Ceremonies Schedule – 2016/2017!!! LASPOTECH 25th Convocation & 40th Anniversary Ceremonies Schedule – 2016/2017!!! 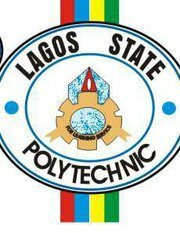 Lagos State Polytechnic, LASPOTECH 25th Convocation and 40th Anniversary ceremony schedules have been released by the management of the school. Members of the public and concerned graduands are hereby informed in order for them to make adequate preparations ahead of that day. All graduands of Lagos State Polytechnic (LASPOTECH), Parents/Guardians, Alumni of the Polytechnic and the Public are hereby notified that activities marking the 25th Convocation and 4oth Anniversary Ceremonies of the polytechnic will take place on Thursday 9th March, 2017.